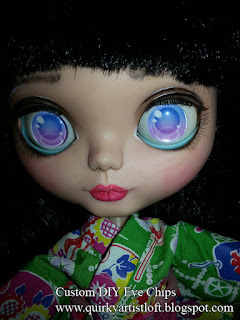 Taking out you Blythe's original eye chips is a fairly easy process. All you need is a hot glue gun, or candle, and a glue stick. For a full tutorial I suggest visiting Blythe Life: Changing Eye Chips. After you got your original chips out you can add new ones. There are a number of option available all over the internet, but for today I am going to talk about clear chips. By using a clear blank chip you can add any image to the background you like. 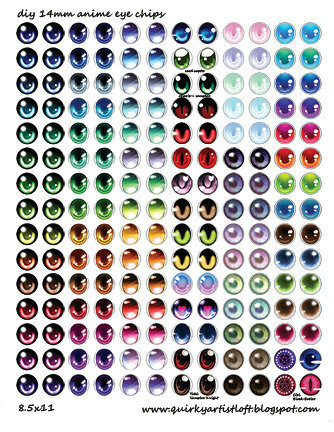 This is fantastic for making realistic eyes and anime eyes. There are really so many possibilities! 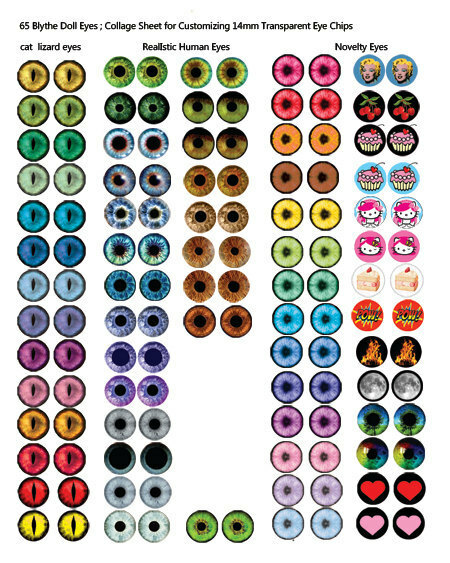 As for the clear chips themselves you can't go wrong with 'Cool Cat' Clear 'Custom Flat' Eye Chips. I have used these primarily in the past and they are a great fit after you sand off the tiny edge of plastic left over from the casting process. They are a clear acrylic plastic that does no yellow over time and have a nice shine and clarity. they cost about 3.50 US for a pair. 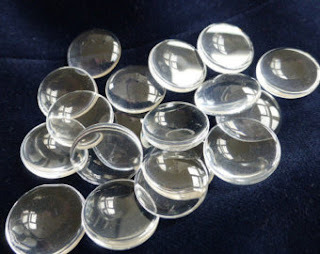 After a with I tried buying 14mm clear domes or cabochons from Etsy sellers. You could get many sets of domes for a fraction of the price. I tried an acrylic one with a sticker back. It was a perfect fit and worked great. However some required a touch of sanding to make them fit. I assume this is due to the eye sockets themselves being slightly irregular. On that bad side the domes I purchased turned yellow after about a year. That was really sad for me. They were still usable with brown or orange chips, but not ideal. I'm sure this was just bad luck on my part, I would definitely try my luck again buying these domes from a different source, just because of the extreme savings in cost from buying the Cool Cat eye chips. 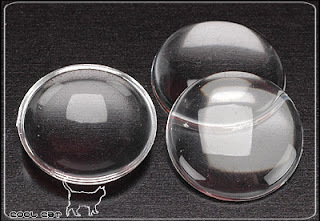 Next I tried 14mm clear glass domes from Ebay. Some domes come in a tall dome and some in a regular low dome... so you have to be very critical of the images to make sure you are buying the correct size. If you buy the tall domes the eye mechanism will not close. 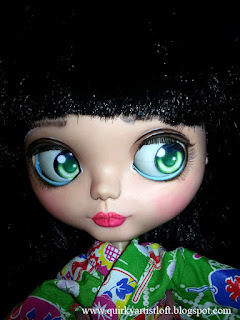 What is found is that the 14mm size domes can come slightly bigger by a hair then 14mm.. or the eye socket on my blythe doll is slightly a hair smaller then 14mm. Either way you must file or sand the interior of the eye socket to make these fit. The glass is too hard to sand. :/ This is very frustrating so I recommend acrylic or plastic chips, not glass. 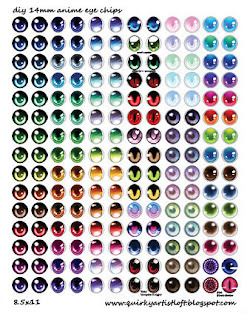 Bellow are sampling of the images I have modified and created to go behind the clear eye chips. 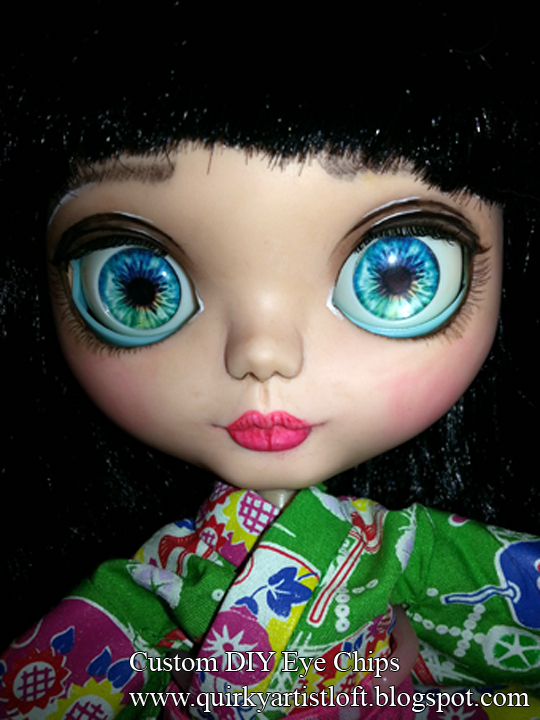 You can find collage sheets for realistic eyes here and anime eyes here. As for how to make the custome eyes, you simply print the page, cut out the circle and place the paper into the eye socket and the dome snaps on top. No glue needed.